“Too much sci-fi has been ground down into series work these days.” THANK YOU! Yes, precisely. I don’t understand why so many great stories are stretched out to the point of dullness. I think writers are too enamored with their words, but I place most of the blame on terrible editors. Use those red pens! 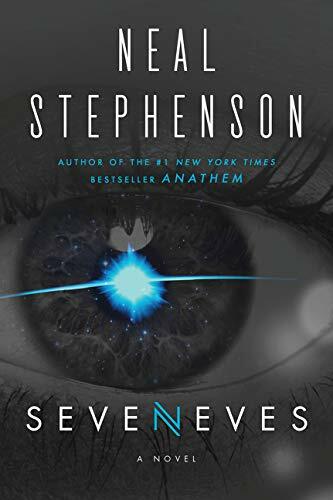 Sounds promising – I just started to read this and it seems like a good escape from over-emotional and ambiguous sci-fi. Considering that I really enjoyed Anathem, I am glad I bought it. This review more than earned its keep with the excellent insight of that sentence alone. I strongly agree with you, Scully! I always thought “Salem’s Lot” was the better for its tightness. Assume at this early point, Stephen King was more amenable to some substantial editing. Later King, to my taste, just Goes On Too Long! Way to go, Moe! Probably at that early stage King was happy to get edited at all! Once he became “Stephen King” he became far too enamored of his own voice and too powerful for any editor to pull the plug. When one tried for The Stand, he just had it republished years later without the edits. Of course, the only one who stands to lose, is his readers, I suppose. Stephenson has kind of disowned “The Big U”. The story goes that he only let it come back into print when he saw it selling on ebay at inflated prices. His comment was that “the only thing worse than people paying money for it is people paying lots of money for it”. I don’t read Stephenson looking for humor. My reason for reading any SF author is to see how they have designed our future and would I be able to survive there. Mainly why I prefer post apocalyptic novels. @Moe Murph — I have this issue with a lot of “great writers” — DFW, for instance. You just wonder where the editor went. More isn’t always better. but Moe is always better — good to hear from you! Only read Cryptonomicon (spelling?) and was simultaneously fascinated and antsy during long, technical explanations of stuff. My puny non-Caltech brain shuddered and bucked. Not sure I could take another . . .
@Howard White — true, The Road would not have benefitted from humor. Still, I find myself longing for a flash of human whimsy, even in the grim future to come. Am starting California and hope to find apocalypse-with -a- kinder- face. I saw Stephenson give a talk at Columbia several years ago (I think Anathem had just come out). Having only read his Snow Crash and Diamond Age I expected the talk (topic was something like “Intersection of Religion, Culture and Technology”) to be full of that esoteric nerdy humor that i’d come to expect from him. Much to my chagrin, he was incredibly dry and solemn. It was not that he necessarily seemed unhappy to be there but I don’t think the man smiled or laughed once. At the time I thought that I might’ve caught him on an off night but in the context of his later work it seems almost like he matured away from that humor.